All Bodfish homes currently listed for sale in Bodfish as of 04/19/2019 are shown below. You can change the search criteria at any time by pressing the 'Change Search' button below. "WHY PAY THE HIGH COST OF WATER WHEN YOU CAN OWN YOUR OWN WELL, OR 2? YOU COULD OWN 2 WELLS IF YOU PURCHASE THE ADJACENT LOT. WHAT A SUPER HIDE-AWAY NEAR LAKE ISABELLA AND THE SEQUOA NATIONAL FOREST! 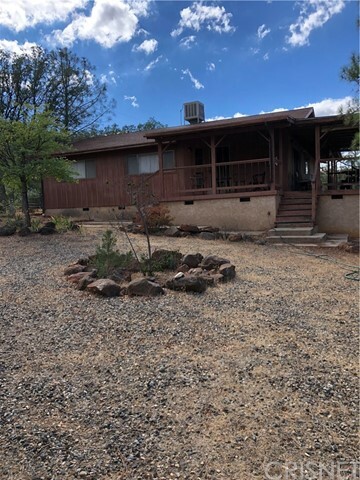 THIS EXTREMELY WELL BUILT CUSTOM HOME HAS 3 LARGE BEDROOMS, 1.75 BATHS, GREAT KITCHEN WITH BEAUTIFUL VIEWS OF THE MOUNTAINS, DINING AREA WITH GREAT VIEWS & ACCESS TO A HUGE DECK & VIEWS, LIVING ROOM OFF DINING AREA W/BEAMED CEILINGS, POT BELLY STOVE AND ACCESS TO GREAT DECK. LET S NOT "